Tags:Ben Witherington, Ben Witherington III, Christianity, historical Jesus, inner circle, Jesus, Joanna, John, Lazarus, Mary, Mary Magdalene, Paul, Peter, Resurrection, What Have They Done With Jesus? What do I think of James Hamilton Jr.’s book published by IVP? Let’s plunge into the Deeper Waters and find out. 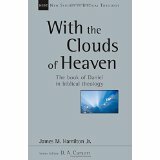 With The Clouds of Heaven is a look at Daniel and the role it plays in the whole of Scripture, which is indeed a major one. I got this book largely because I do have a great interest in eschatology being an orthodox Preterist. So how did it deliver? Warren and Jody are opening their home this evening to all and sundry. Evidently, there’s something happening on television tonight, maybe you know the details, apparently some commercials are going to be aired. If you’d like to watch the proceedings with others from our congregation, you’re welcome to bring a bag of chips, a jar of salsa, or a two-litre to Warren and Jody’s house. According to Hamilton, when it was said that something was happening on TV that evening, there were smirks and snickers. Nowhere in this do you see the terms “Super Bowl” or “football game”, but everyone understands. I could go further and say nowhere do you see explained what a two-litre is, and yet Hamilton’s audience no doubt understood this term even if a reader unfamiliar with the language would not. Hamilton is also certainly right that many such allusions like he has in the announcements at his church take place in Scripture. A snippet from somewhere can bring to mind a whole passage. For example, how many of us could be watching a show and hear a saying like “The Prodigal son returns.” When we hear this, we’re supposed to bring to mind the whole of the prodigal son story. None of this needs to be explained. It’s assumed that even if you’re a non-Christian, if you live in a Western culture, you know at least that even if you don’t believe Scripture, what the story of the prodigal son is. You know it’s a story about a wayward son that comes back home. I appreciate also Hamilton’s insistence that Daniel is rightly in the canon and that a date that is more traditional does matter. I do wish there had been more on this as he compared Daniel with other writings at the time to show that they relied on it and thus it would have been accepted instead of being something new, but it would have also been good to have seen archaeological evidence presented, such as it now looks like Belshazzar was a co-regent and that’s why Daniel was offered the third highest position in the Kingdom. A later writer would not have known this. The writing on how Daniel is laid out is also very interesting. Hamilton points to several chiasms that take place in the book. It is truly a marvelous work of literature. He also looks at the four kingdoms. I found it interesting on how after Daniel’s explanation of the dream of the statue with the gold head, Nebuchadnezzar makes a whole statue of gold, as if to say that if he is the gold, then he will make sure he is treated like he deserves. When we get into eschatology, I did not find the stance of Hamilton too clear and what I did find, I do disagree with. I do not think there is anything in Daniel, especially the ninth chapter, about an antichrist figure. I’m convinced that Scripture does not speak of an antichrist person as much as an antichrist attitude. In that, everyone is either for Christ or they are antichrist. It’s interesting that John is the only one who uses the word, and yet nowhere in Revelation do you find anyone described as the antichrist. I in fact think the abomination described in Daniel 9 is that the pure Son of God was crucified in Jerusalem. What happened in the Middle of the week? That was when Stephen was stoned. It’s noteworthy that when that happens, he says he sees the Son of Man (How often is Jesus called the Son of Man outside the Gospels) standing at the right hand of God. Why standing? Hebrews says He sat down. He’s standing because that’s what you do when you judge. Jesus is pronouncing judgment on the Jews who have now killed the first Christian martyr. This affects how I also read the way Hamilton thinks the rest of the NT interprets Daniel. I do think the section is interesting as it is a contrary viewpoint as far as I’m concerned, but I just don’t find it convincing and I leave it to readers to see the data that Hamilton provides. If you like to study eschatology, I do think this is an important book to read and there needs to be serious look at Daniel and not just about eschatology, but how it relates to all of us as a whole. While I disagree with a good deal of what Hamilton says, he has done his homework and that is commendable and I do think again, that a church with a pastor who is also a scholar is indeed blessed. If only more of our pastors would strive to be if not scholars, at least be scholarly, we would all be better off. What do I think of Robert McIver’s book published by SBL? Let’s plunge into the Deeper Waters and find out. 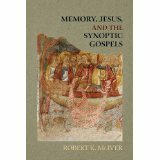 McIver’s book on the usage of memory in reporting the events of the Gospels is certainly one worth reading. 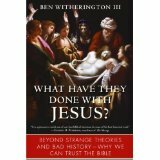 It is meticulously researched and incredibly thorough in its approach and it even has a nice little appendix at the end that describes life expectancy in the ancient world and if the eyewitnesses would have been around for interview or even rebuttal around the time the Gospels were written. McIver covers how it is that we form memories and what kinds of things memories are. He also goes into what are known as flashbulb and personal event memories. I will give two examples from my own life. I have clear and distinct (To use Descartes’s term) memories about many events that happened on 9/11. I remember sitting in the chapel at Bible college and seeing a professor come in and tell the speaker to announce we should be praying for the people of New York as a plane just crashed into one of the World Trade Center towers. I’m sure most of us thought it was a tragedy then. I remember hearing afterwards that a second plane had hit the second tower and no one thought it was accidental at that point. I remember being in the lobby watching this all unfold on TV and watching the towers fall. I remember walking around outside and noticing no planes in the sky. For personal event, I remember well when I got married. I remember that I parked my car at the hotel we would be staying at that evening in the morning and pacing around with my tux while I waited for my best man to pick me up. I remember going to the restroom numerous times before hand to make sure nothing happened. I remember one of my groomsmen telling me how awesome Allie looked. I remember seeing her smile at me during the ceremony. I remember hearing my best man’s excellent toast. I remember riding in the limo. I could go on and on. Now note this does not mean I remember every little detail. There could be some things I get wrong. I certainly will not get the major things wrong. I know it was Allie and not Ashley I married. I know it was in the area of Charlotte and not Charleston. I know it was on July 24, 2010 and not on another date. This is also something important. It’s quite amusing that the same people who complain that the Gospels supposedly weren’t written by eyewitnesses or don’t contain eyewitness testimony will then come and say that eyewitness testimony can’t be trusted. Is it infallible? Not at all. McIver from his research shows that eyewitness testimony tends to be at least 80% reliable and we often hope to have multiple eyewitnesses to further corroborate claims. McIver also shows that we can generally guess how much of something will be forgotten but after a few years, many memories do reach a sort of locked-in state. Some secondary details could be iffy, but the primary memory itself will usually stay intact, provided of course that there are no major events such as some head injury of some sort or a debilitating condition that affects memory. To go beyond this, McIver also has information on collective memory. This takes place in oral societies where stories are told repeatedly back and forth. It is often the gist of the story that is the main focus to get right. Minor details in the story can vary. The main information of the story is usually trusted to a few tradents who oversee the process and make sure the information does not get lost. At this point, I did have one criticism. We do see a lot on how memory is done today, but I would have liked to have seen more on how memory worked in a pre-Gutenberg culture. We know the ancients prized memory more than we do and that they had better abilities of memorization due to not living in a culture where writing was readily abundant and you couldn’t use post-it notes or cell phones to store your data. You had to keep it all in your memory. As you can imagine, McIver builds heavily on the excellent research of Richard Bauckham in Jesus and the Eyewitnesses. As I read through, I was wondering what McIver would be thinking if he had written this book after The Lost World of Scripture. The appendix I referred to earlier in this review is also extremely helpful in dealing with claims of many atheistic writers today who do use an argument that eyewitnesses would not be around at that time. I’m very pleased to see research like this going on and those interested in whether the accounts of Jesus are accurate in the Gospels would be greatly benefited by reading this fine work. 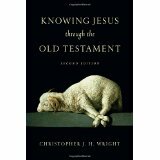 What do I think of Christopher Wright’s book? Let’s plunge into the Deeper Waters and find out. My thanks first off go to IVP for sending me a copy of this work. It is the second edition that they sent me for all who are interested. Let’s get a negative out of the way first because there is a lot that is good about this book. In fact, there is only one major negative that I find problematic and it was one the author explained at the beginning. That is that there is a lack of notes. Wright says he wants this to be most acceptable for a popular audience for easy reading, but I do think it could still be possible to have notes for those of us wanting to look up any claims. Lee Strobel after all wrote some excellent books for a popular audience and having notes and quotes of scholars didn’t slow that down at all. If a third edition comes out, I do hope it has that. Now let’s get to the positives. 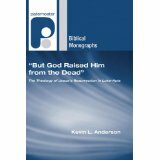 The book is divided into six sections and each deals with both the New Testament and the Old Testament. If you’re getting this thinking that you’re going to get a list of passages in the Old Testament that are Messianic predictions of Jesus, you will not be getting that. What you will get is the grand panorama of the Old Testament played out and how Jesus saw Himself in relation to that. Wright favors the Gospel of Matthew, which makes sense since Matthew is the most Jewish of the Gospels.He starts with the genealogy in Matthew and how we can be prone to just skip over that part without realizing Matthew put it in because he considered it important. Matthew is immediately connecting Jesus to the Old Testament so shouldn’t we see how this is done? The first part is about the story of the Old Testament. What is going on in the Old Testament? Why did God call Abraham? Does this really bear any connection to the New Testament? Now you can understand the message of Jesus to a degree on its own, but if you really do want to understand who Jesus is, you must have a good and thorough knowledge of the Old Testament. Wright is certainly pointing to a problem in our churches that needs to be taken care of. Next comes the promise of the Old Testament. What was really being promised to Abraham? Was the focus to always be on a piece of land in the Middle East, or is something more going on? It is by understanding the promises that God made in the Old Testament not just to Abraham but in all the other covenants, that we can truly see how Jesus is the fulfillment of those promises. The third chapter is on identity. Who is Israel exactly? What are we to say their role is? How did Jesus see Himself in relation to Israel? This is of course one of many parts where we can get into some controversial issues, but throughout I found myself agreeing with the stance of Wright, who seemed to be a counterpart to the NT scholar N.T. Wright, and in fact, it was not a surprise to see N.T. Wright in the bibliography. Jesus is the new Israel living out the hopes and dreams of Israel and succeeding where the nation did not and living out for them the redemption they need. The fourth is on the Old Testament Mission. Once we know what Israel truly is, what was their purpose? How did their purpose affect Jesus and His view of Himself? Did Jesus come without a purpose and did He act without a plan or was He deliberately working on a mission. Was the crucifixion an accident that Jesus never wanted to have happen or a last-ditch effort to pull off what He wanted, or was it what He had in mind all along? The fifth is Jesus and Old Testament Values. Now here I would have liked to have seen a little bit more, especially as one who deals with all the supposedly problematic morality in the Old Testament. Still, Wright does bring out how much of our modern morality is really nothing new. It comes straight from the Old Testament and how this way of thinking shaped Jesus to live out His life the way He did. Finally, what about the Old Testament God? Wright deals with a common claim in this one that says “Why didn’t Jesus just come out explicitly and say ‘I’m God!’ ” Wright points out how problematic that would be since God would be a loaded term and Jesus would have been confused with the Father. Instead, Jesus spoke by His actions and let His disciples work out the results, and indeed they did. Wright is certainly correct that the view of Jesus as being in the divine identity was extremely early. Again, my main criticism was the lack of notes and scholarly quotations, but overall, that should not detract from the gold mine of information available here. Knowing where these claims can be easily found would make this far more helpful, but for the lay reader, they will still get plenty, as will the more academic reader, like myself, who prefers to read something quite meaty. What do I think of Ken Bailey’s latest. Let’s plunge into the Deeper Waters and find out. Ken Bailey has been one of my favorite NT scholars ever since I read Jesus Through Middle Eastern Eyes and this latest book from IVP is no exception. Bailey writes from the perspective of someone who has lived in the Middle East teaching and knows the way life is there and recognizes many of the similarities that take place with the Biblical text. He also interacts with ancient and medieval writers many of us would have overlooked to bring us the best insights on the text. The Good Shepherd is no exception. 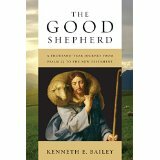 In this one, Bailey starts off with looking at Psalm 23 and goes from there throughout the Old Testament and into the New Testament to see how the account in Psalm 23 plays itself out later, including in the story of Jesus in the New Testament, who is the personification of the good shepherd that had been hoped for in the 23rd Psalm. Bailey’s insights into life in the Middle East are invaluable as he has interacted with numerous shepherds and knows the lay of the land well and how shepherding works with the climate. He is not just writing about the behavior of sheep and shepherds in the abstract. He is speaking from the perspective of someone who knows shepherds well and someone who knows from them how sheep behave. Bailey’s reading will open you up to new ways of reading the text that you had never considered. He is especially good at showing the ring composition that takes place in the writing of the account. The book is also written in a format that is easy to understand and yet also has the scholarly references throughout for those who are wanting to get that kind of approach as well. When it comes to the New Testament view of the good shepherd, I found most fascinating to be the look in Mark 6. Most would not see this as a good shepherd passage, but Bailey brings out that it indeed is one. He paints a contrast between the banquet that King Herod throws early on that turns out to be a banquet of death where John the Baptist dies, and the banquet of life where Jesus provides a meal for over 5,000. It’s clear to Bailey that Herod would have had his spies in the area to see what Jesus would have to say as a popular leader about the death of his cousin. I find once again that Bailey has given an excellent piece of work for all of us to consider. If you want to know about the life of Jesus as the good shepherd and especially how this relates to the grace of God found in Jesus Christ then it is absolutely essential that you read this book. Scholarship is blessed to have someone like Ken Bailey writing for us and I hope that the future works that he produces will be of excellent service to the church as well. Does the evidence for Jesus just not add up? Let’s plunge into the Deeper Waters and find out. So as Christmas time comes again, you can expect that the crazy and bizarre will come because what better way to celebrate Christmas than to go after Christianity? And of course, you have to pick the view that is the weakest and most obscure and present that as if it was a new idea that is gaining serious traction in the academy when really, it quite frankly isn’t. The hypothesis under question has never been taken seriously in the academy. 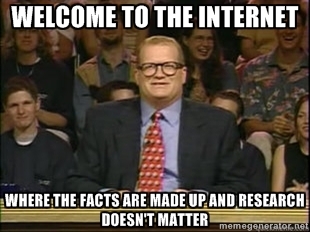 But then on the internet, everything is different. You can say whatever you want and be taken as an authority just because you have a blog or a web site. So what hypothesis is this? Why it’s that Jesus never even existed. Who is putting it out? Raphael Lataster. Does that name sound familiar? It should. I reviewed his book about a year ago on this blog and found it severely lacking. David Marshall also reviewed it and has suggested that it is the worst atheist book ever. J.P. Holding’s review has a part one and a part two. But go to the Society of Biblical Literature and is anyone talking about Lataster? Nope. Nor is there any mention of his hero Richard Carrier. But now there’s an article and Lataster is writing an article and unfortunately, for too many who do not know how to do history, the case can sound persuasive. So let’s look at it. For all interested, the article itself can be found here. If you think I’m misrepresenting Lataster, feel free to check. Now I did point out in my book review that Lataster too quickly assumes the Christ of Faith and the Christ of History cannot be the same person. Maybe they aren’t, but shouldn’t we study the question before we actually decide on it. Lataster says the Christ of Faith is implausible? On what grounds? Because He walks on water. Only if miracles cannot happen. Has Lataster shown that or has he just assumed it? It’s the latter. Even in his book he could have at least tried to cite Hume as if that would have been some sort of argument. He doesn’t. Instead the Lataster of faith is too dismissive of the Christ of faith. Fortunately, Lataster has already drawn a line in the sand as well. if you’re a believer, don’t get involved. Let’s see how this works. “Let’s discuss whether there is a god or not, but atheist philosophers need not get involved.” How far would it go? Unfortunately, in the world of scholarship as it really is done, scholars all have to act by the same rules. If you want to make an argument, you have to provide the data for it. It doesn’t matter what your worldview is. You make your case before your fellow peers who could hold a contrary position. They might not agree, but they will decide if you have made a real argument for your position. Perhaps the problem is Lataster just isn’t familiar with how the world of scholarship works. For what it’s worth, my stance is bias is too often used as an excuse. It is data that matters and data does not know bias. It is in the interpretation that you can start to see the bias. Yet bias can also make one want to be more careful to present the truth. A final point on this topic to make is the one once made by N.T. Wright. You might have a biased scorekeeper reporting the score at a football game, but that doesn’t mean he won’t tell you the right score. Numerous secular scholars have presented their own versions of the so-called “Historical Jesus” – and most of them are, as biblical scholar J.D. Crossan puts it, “an academic embarrassment.” From Crossan’s view of Jesus as the wise sage, to Robert Eisenman’s Jesus the revolutionary, andBart Ehrman’s apocalyptic prophet, about the only thing New Testament scholars seem to agree on is Jesus’ historical existence. But can even that be questioned? While there is disagreement, there is also material here that is simply false. There is much besides his existence that is agreed upon by NT scholars. His crucifixion for instance is universally accepted. Also scholars are largely in agreement that Jesus had a connection with John the Baptist and had twelve disciples and that after his crucifixion his disciples claimed to see him alive again. He was a teacher who spoke in parables and many will even tell you he was at least viewed as a great healer. The first problem we encounter when trying to discover more about the Historical Jesus is the lack of early sources. The earliest sources only reference the clearly fictional Christ of Faith. These early sources, compiled decades after the alleged events, all stem from Christian authors eager to promote Christianity – which gives us reason to question them. The authors of the Gospels fail to name themselves, describe their qualifications, or show any criticism with their foundational sources – which they also fail to identify. Filled with mythical and non-historical information, and heavily edited over time, the Gospels certainly should not convince critics to trust even the more mundane claims made therein. It’s hard to think of a paragraph with more misinformation in it than this one. Let’s consider this. A lack of historical resources. The books of the NT can all be dated to within the first century. That means we have 27 writings with varying degrees of information about the historical Jesus. Lataster wishes to dismiss them saying the reference the clearly fictional Christ of faith, which is of course the presupposition of the Lataster of faith. Even still, scholars do not use this as a reason to dismiss them. Some legendary material or embellishment does not mean the historical core has been entirely destroyed. In fact, it’s quite bizarre to think that within a few decades in the ancient world, the entire history would have been overturned. Next we are told they are written decades after the events. Okay. The problem? Much of what Tacitus and Josephus wrote about was also decades later. Scholars don’t see that as a problem. Hannibal who nearly conquered the Roman Empire has the first major account of him being written decades later by Polybius. From Hannibal’s own lifetime, we have only a scrap that mentions him. That’s it. A guy who nearly conquered the Roman Empire and he gets a scrap. Yet somehow, we’re supposed to think that a crucified Messiah who would have been seen by the outside world as a flash in the pan phony baloney would be talked about the world over? The ancient world would have dismissed the “Christ of Faith” just as quickly as Lataster has. But what’s most interesting about this is the fact of every scholar of the age. Let’s use a site like this. Here we find Suetonius was born in 71 A.D. At the start, this puts us at 120 years+. Let’s suppose for the sake of argument that Suetonius waits until he’s 30 to begin writing. That would mean this reliable account is 150+ years later. He was born in 95 A.D. That puts us at 144 years+. Let’s suppose he waited until the age of 30, and it’s more likely he waited until later. If we give 30, then that means he wrote 174+ years later. Cassius Dio? He was born in 164. This puts at at 213 years+. He started writing the Roman Histories at the earliest in 211. That puts us at 260 years+. Someone had said something about the accounts of the resurrection being two to three centuries later…. But strangely enough, Cassius Dio two to three centuries later is okay. Plutarch would be the earliest being born in 46 A.D., but this puts us at 95 years+ and if he waits till thirty, well that’s 125 years+. That means not ONE of these sources could have talked to an eyewitness of the event. Not one of them was a contemporary of Caesar either. Not one of them would have been a firsthand account. And yet they’re all accepted. But the biggest problem with all of this is that Lataster is reading a modern culture onto the text. In the modern world, you don’t wait until later to write something. You do it immediately. Memory is not as trusted a tool. In the Biblical society, the written word is not as trusted and the oral tradition is more reliable and more trusted way of communicating. Lataster could have been benefited by reading a work such as The Lost World of Scripture or hearing my interview with one of the co-authors, Brent Sandy. Unfortunately, he probably won’t because both of the authors are Christians so yeah, we can just dismiss them. Next all of these come from Christian authors eager to promote Christianity, so we can dismiss them. Perhaps we should dismiss the writings about the rabbis since they were written by their disciples easy to promote them. Perhaps we should dismiss Plato’s writings about Socrates since he was a disciple eager to promote Plato. Perhaps today we should dismiss holocaust museums by Jews who have a bias obviously eager to avoid another holocaust. Or perhaps we should remember that in the ancient world, like today, everyone wrote to promote something and bias was in fact viewed as something important. No one wanted to read something without passion. Would it work if I just dismissed Lataster because he’s an atheist and therefore he clearly has a bias against any idea that would be associated with religion? No. Data is still data. Arguments are still arguments. And as for interaction with sources, Lataster is assuming it would be done as it would be today. Richard Bauckham has made the case in Jesus and the Eyewitnesses that the authors used various methods to identify their sources. He argues that as the tradition goes through the Gospels, names are not added but dropped and that a named figure can normally be seen as a source, with obvious exceptions like Judas Iscariot. Generally, if a character that is not Jesus or one of the twelve is mentioned, this person could likely have been a source. Just look later in the other Gospels to see. As for filled with mythical and non-historical information, well that could be show, but it would be nice to see an argument rather than just an assertion. And as for heavily edited over time, has he read nothing of textual criticism? The Gospels have been copied, but they have not been so edited over time that we don’t know what the originals said. Very little of that is debated. This is the kind of objection that gets tossed around commonly, but it won’t find scholarly support. The criterion of Aramaic context is similarly unhelpful. Jesus and his closest followers were surely not the only Aramaic-speakers in first-century Judea. The criterion of multiple independent attestation can also hardly be used properly here, given that the sources clearly are not independent. As for the Aramaic context, again, he is too quick. Did others in Judea speak Aramaic? Sure. How does that help explain that being used by those writing to people in the Greco-Roman World? Now if he does think any Gospel was written by a person from first century Judea, shouldn’t we trust they would have known if this Jesus fellow had never even existed, especially since as scholars agree so much with today, the Gospels are Greco-Roman biographies. For multiple attestation, again the Lataster of Faith simply throws out an assertion and that’s it. They are clearly not independent? Says who? What’s the argument? Show it. Why is it that we are often told the Gospels are dependent on each other and then told that they hopelessly contradict? Why do we talk about the synoptic problem at all? Could it be that similarities in the Gospels could actually be because, oh I don’t know, I mean it’s a bizarre idea and all I’m sure, but could it just possibly be they are all about a real historical person that walked the Earth as NT scholars agree? Paul’s Epistles, written earlier than the Gospels, give us no reason to dogmatically declare Jesus must have existed. Avoiding Jesus’ earthly events and teachings, even when the latter could have bolstered his own claims, Paul only describes his “Heavenly Jesus.” Even when discussing what appear to be the resurrection and the last supper, his only stated sources are his direct revelations from the Lord, and his indirect revelations from the Old Testament. In fact, Paul actually rules out human sources (see Galatians 1:11-12). The silence of Paul naturally has to be played. So supposedly some mention of Jesus could have greatly bolstered Paul’s claims at times. When are these times? Can he tell us? Or are we just to trust the Lataster of faith? Paul only describes a Heavenly Jesus? Okay. The Jesus who was crucified on the Passover by the Jews. He was born of a woman and under the law, and descended from David. He instituted a meal with his followers on the night of his crucifixion and was buried and was claimed to be seen alive again after a resurrection. Of course, Lataster would say these are all about a heavenly Jesus which is interesting since we have arguments from silence yet if we follow that criteria, where do we see mention of this heavenly realm where all these events took place or of a heavenly Jesus? Lataster would want to say that Paul rules out human sources, but this is the mistaken idea that gospel must necessarily mean “knowledge of the life of Jesus.” It doesn’t. It also refers to the truth that Jesus is the risen Messiah. Paul had that made clear to him on the Damascus road experience. He is saying he was not persuaded of Christianity by humans but by God Himself. In fact, in the passage in Galatians, Paul is really comparing himself to Jeremiah regularly with a divine call. With the claim about contemporary and eyewitness sources, we have already mentioned this earlier. Tacitus and Josephus wrote about many events they were not eyewitnesses or contemporary to, and yet this has not been a problem of historians. It’s a made-up criteria of Christ-mythers. To say we have no eyewitnesses, Lataster will need to interact with works like those of Bauckham’s cited earlier. We can expect he won’t because, hey, this is Christian scholarship. As for Tacitus and Josephus being shrouded in controversy, it is only over what is being talked about but not that there is doubt over Jesus’s existence. Josephus has the most controversy and it’s hard to think of a better article on Josephus than that written by James Hannam. For Tacitus, there is not nearly that level of controversy. It would have been nice if Lataster could have named some scholars who are doubtful of the reliability of these passages. As for apologists not referencing them, why would they need to? None of their opponents were arguing that Jesus never existed. Celsus even accepted that Jesus did miracles. He just said he did them by dark arts learned in Egypt. What good would it do in debates to show a reference that simply argued for the existence of Jesus when no one was debating that? Agnosticism over the matter is already seemingly appropriate, and support for this position comes from independent historian Richard Carrier’srecent defense of another theory — namely, that the belief in Jesus started as the belief in a purely celestial being (who was killed by demons in an upper realm), who became historicized over time. To summarize Carrier’s 800-page tome, this theory and the traditional theory – that Jesus was a historical figure who became mythicized over time – both align well with the Gospels, which are later mixtures of obvious myth and what at least sounds historical. Remember boys and girls, when you’re an atheist writing on the NT on the internet, it is essential that you cite Richard Carrier. Well who can blame him? After all, look at what we know about Carrier! Richard Carrier is a world-renowned author and speaker. As a professional historian, published philosopher, and prominent defender of the American freethought movement, Dr. Carrier has appeared across the U.S., Canada and the U.K., and on American television and London radio, defending sound historical methods and the ethical worldview of secular naturalism. Wow. A world-renowned author and speaker! Why who wouldn’t want to pay attention? How do we know that this description is accurate? What reason do we have? It comes from Richard Carrier himself. As for his book, I’ve read it and found it extremely lacking as he gives the sound of one-hand clapping and like the Lataster of Faith, too quickly dismisses those he disagrees with. Expect a fuller review in the future after I go through the footnotes with a fine-tooth comb. What I have observed with mythicists is that they are often unreliable in their use of sources. Of course, we could question that Richard Carrier even exists. I mean, surely if he’s such a well-acclaimed figure some university by now would have scooped him up and had him teaching. Awfully suspicious…. The Pauline Epistles, however, overwhelmingly support the “celestial Jesus” theory, particularly with the passage indicating that demons killed Jesus, and would not have done so if they knew who he was (see: 1 Corinthians 2:6-10). Humans – the murderers according to the Gospels – of course would still have killed Jesus, knowing full well that his death results in their salvation, and the defeat of the evil spirits. So what does the passage say? It says the rulers of this age. Does it say demons? No. It just says rulers. Now could the word used refer to demonic powers? Sure, but Lataster’s argument here is weak. How often are we told that an omnipotent God could have devised another way. Perhaps there was one then if the Jews had accepted the offer of Jesus, but let’s look at the main argument. For one thing, when Paul speaks of archons (The word translated as rulers) he normally adds a predicate if they are non-corporeal, such as of the air or something of that sort. Second, look at chapters 1 and 2 of 1 Corinthians. You find a consistent focus on earthly activity. Why should we think that there has been a sudden switch to a heavenly event? It’s a popular theory of Doherty and Carrier, but it just hasn’t caught on with scholars. There’s a reason for that. So what do the mainstream (and non-Christian) scholars say about all this? Surprisingly very little – of substance anyway. Only Bart Ehrmanand Maurice Casey have thoroughly attempted to prove Jesus’ historical existence in recent times. Their most decisive point? The Gospels can generally be trusted – after we ignore the many, many bits that are untrustworthy – because of the hypothetical (i.e. non-existent) sources behind them. Who produced these hypothetical sources? When? What did they say? Were they reliable? Were they intended to be accurate historical portrayals, enlightening allegories, or entertaining fictions? Yes. They don’t say much, for the same reason many evolutionary scientists don’t say much about young-earth creationism, or that geologists don’t say much about flat-earth theories, or that astronomers don’t say much about geocentrism, or that Hitler historians don’t say much about the holocaust never happening. They don’t because it’s viewed as a crank theory. If they even mention it, that will give it some sort of credibility. Any writing is done out of a reluctance because the idea is so annoying. Ehrman and Casey can’t tell you – and neither can any New Testament scholar. Given the poor state of the existing sources, and the atrocious methods used by mainstream Biblical historians, the matter will likely never be resolved. In sum, there are clearly good reasons to doubt Jesus’ historical existence – if not to think it outright improbable. It’s nice to know that Lataster has already assured us we don’t need to look at the scholarship. I happen to disagree and think that yes, Ehrman and Casey can tell us. In fact, the world of NT scholarship as a huge huge majority has already told us. Christ-mythers meanwhile are just a group trying to make a lot of noise but just not getting the attention they want from the academy. Until they come up with decent arguments, they shouldn’t.